"URGE ILLINOIS LAWMAKERS TO OPPOSE SB 154 - Criminalization of animal exhibits"
Please oppose Illinois SB 154, which would criminalize traveling animal exhibits and would destroy legal businesses and cut off the revenue stream of animal trainers, exhibitors, and keepers who care and provide a habitat for animals which have been breed in captivity (they are not being taken out of the wild) and are contributing to the advancement of education and conservation. Illinois SB 154 amends the Criminal Code of 2012 and provides that a person commits unlawful use of an animal (currently, this provision only covers elephants) in a traveling animal act when he or she knowingly allows for the participation of an animal in a traveling animal act. Unlawful use of an animal in a traveling animal act is a Class A misdemeanor. Effective July 1, 2019. The exotic animals impacted under SB 154 (see list) are all heavily regulated already by both state and federal laws. 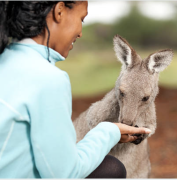 The USDA enforces federal Animal Welfare Act (AWA), which licenses animal exhibit owners to ensure that all needs are met in the care and keeping of the animals that fall under the purview of USDA/APHIS. These licensees are inspected on a regular basis including unannounced inspections while traveling and regular audits to ensure compliance. The Illinois Department of Agriculture also requires these animals to have a clean bill of health from a veterinarian and a permit prior to entering the state. These animals are not captured from their native habitat and brought to the U.S. (which is illegal under federal law implemented by the U.S. Dept of Interior) but rather they have been bred in captivity. Private owners of animals active in exhibition in wildlife reserves, zoos, circuses, game parks, and breeding facilities, are key to the survival of endangered species. Animal exhibits are critical for educational purposes to teach children (and adults), at county fairs as well as the Illinois State Fair, about the importance of Private owners and how they contribute to breeding programs, promoting genetic diversity. Like any professionals, they are committed to the best possible outcome. Private owners essentially carry a database of compatible matches in the animal world which is key to the conservation of these many species that are endangered in the wild! SB 154 seeks to criminalize family business owners who have devoted their entire lives to taking care of and training these animals for several generations. 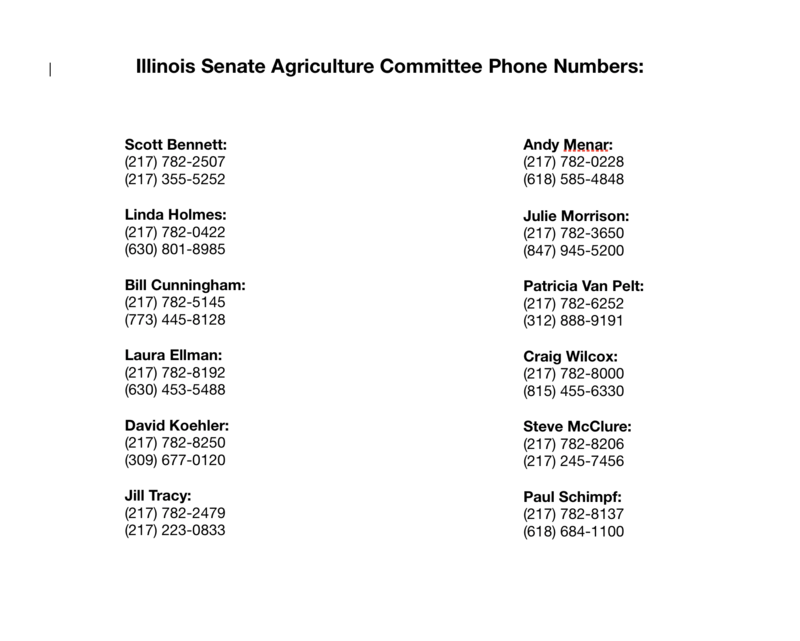 Please send your letters to the Illinois Senate Agriculture Committee and urge them to OPPOSE this misguided legislation by clicking the "Send Message" button below.